For a long time, a desire has burned within the team at Bang Creations to launch a product direct to market via a crowd funding platform like Kickstarter. Bang have developed and then helped two of their clients crowd fund their ideas in that past, as well as bringing crowd funding projects to the attention of their clients. 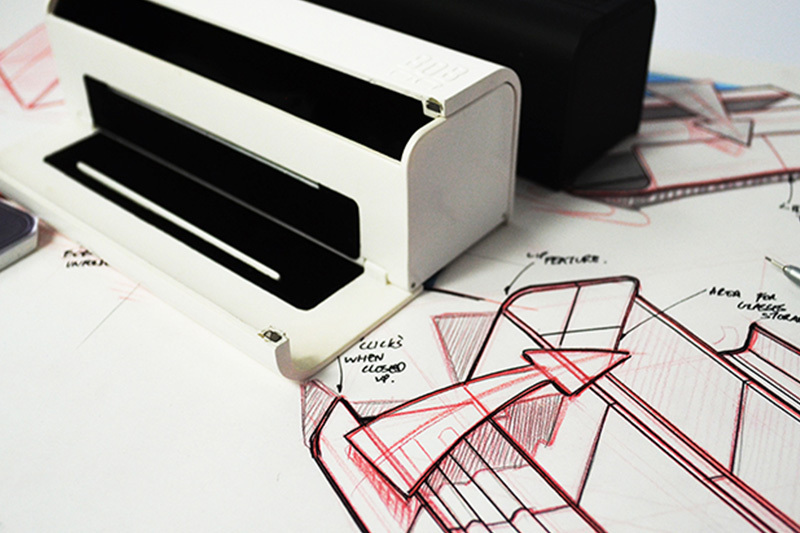 One day one of the design team asked why the humble glasses case did just one thing- protect the glasses. By the end of that day they had a card mock up of a case that not only could protect even your biggest of wayfarer glasses, but when open will display your tablet and phone in landscape or portrait in two angles, and will store all the bits and bobs you empty form your pocket or have on your desk. So BOB was born. Normally Bang would look to licence the product to a manufacturer, this may be suitable for a brand that wishes to give the case away, but what about people who want BOB for their current glasses or sun glasses? 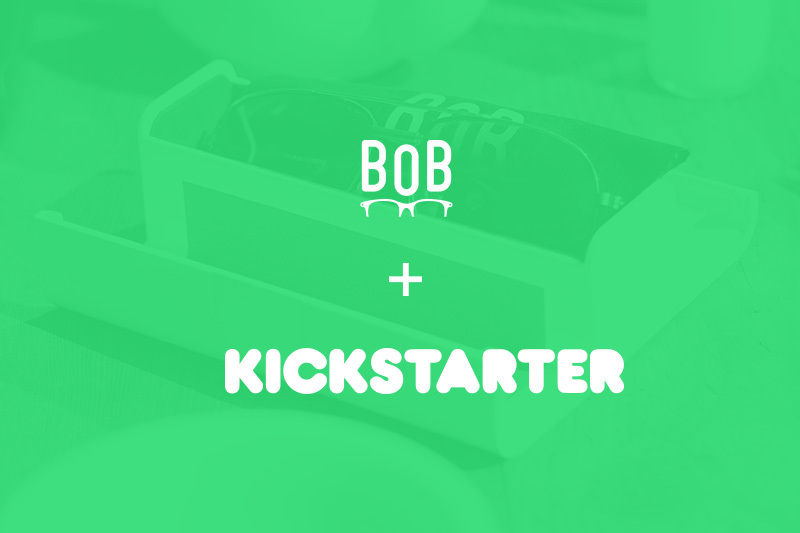 “The most important reason for using Kickstarter is to learn if people share our belief that BOB is a great little product that is worth bringing to market. If so, then let’s really go for it, get it out there as quickly and as widely as possible and at the same time, help the scientists at Moorfields Eye Hospital benefit in the success and get some extra funds for their research. Make it a win-win- win.” Stefan Knox Creative director and founder of Bang Creations. BOB is not too challenging a product to manufacture, and with careful design input could be made to be strong, versatile and portable. It was an ideal project to go straight to market and get feedback. If people like BOB then using Bang Creations established manufacturing links and experience of manufacturing product, it would be a project Bang knew they would deliver on. So Bang Creations chose Kickstarter. Bang have been following Kickstarter for the last seven years and really like the company’s public benefit ethos. Stefan the founding director of Bang, has a family friend who has benefited greatly from the amazing work done at Moorfields Eye Hospital in London, and Bang’s secret desire is for BOB to hit its goal for £5k ($8k) early enough in the campaign, so that Bang can offer some margin to Moorfields. Bang obviously wish to turn BOB into a global product and want to use the Kickstarter platform to shout about the project to as many people as possible, but Bang are not naïve enough to know that it just happens magically.